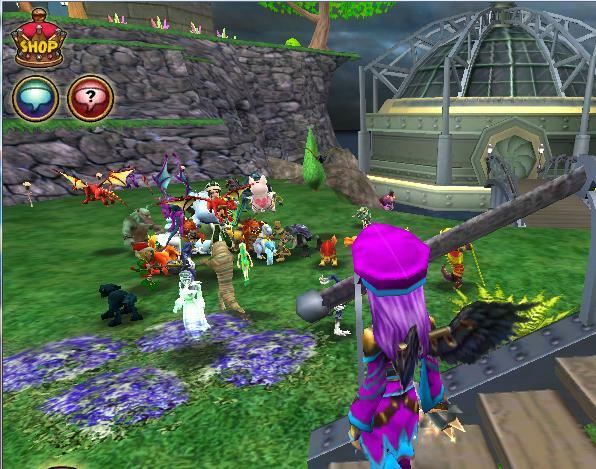 Paige's Page: Pets are let loose in test realm! Pets are loose and having fun! We got from break dancing ninja pigs to groovy dancing cyclops.In your house You are allowed 50 inside and 50 outside! 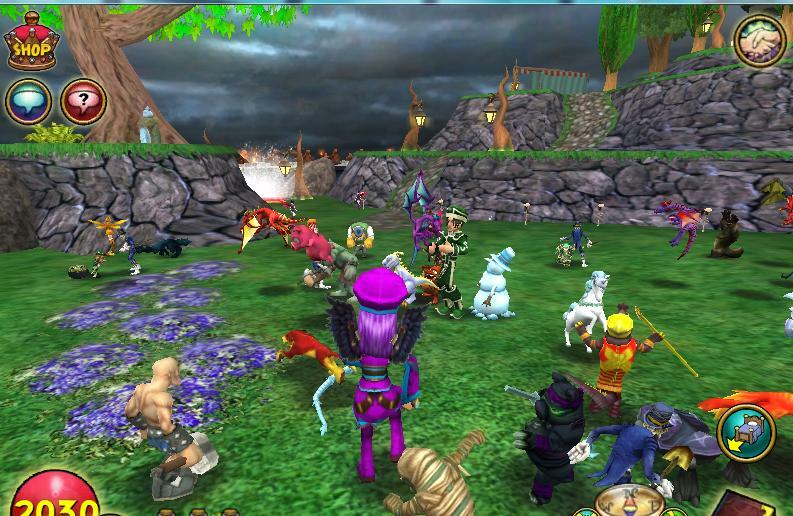 that is right 100 total pets to let free and believe me I hit that limit ;). The pet pavilion is one of the most fun places in Wizard city from pet racing to guiding your pet through the pet mini games, and the pet hatchery is, well a place to make some unusual pets. 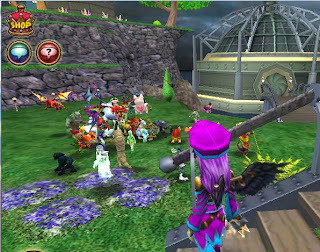 Kingsisle this is one awesome upgrade in my opinion. Happy pet Day, until next time.